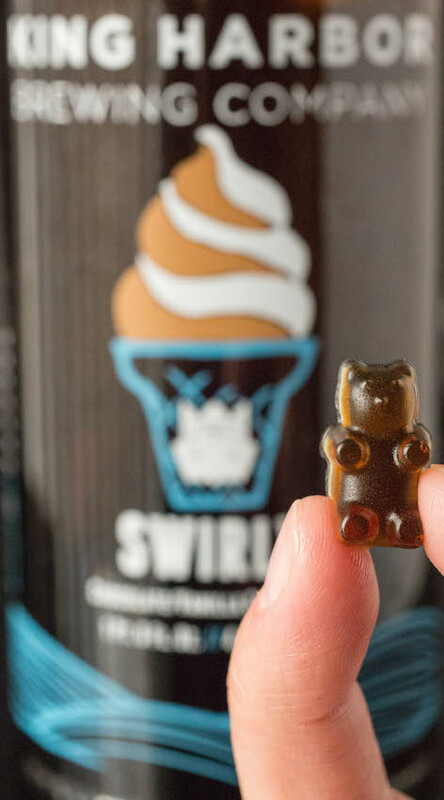 Take your favorite brewski and turn it into Beer Gummy Bears with this easy recipe. You only need three ingredients: beer, sugar, and gelatin. King Harbor Brewery provided the beer for these gummy bears. Beer gummy bears! Because it’s 5 o’clock somewhere….and that somewhere is in my belly. Our Wine Gummy Bear recipe was such a big hit I figured you guys would really enjoy even more alcoholic gummy bears. To make these Beer Gummy Bears, we used three different beers from King Harbor Brewery. They brew some seriously tasty beers. 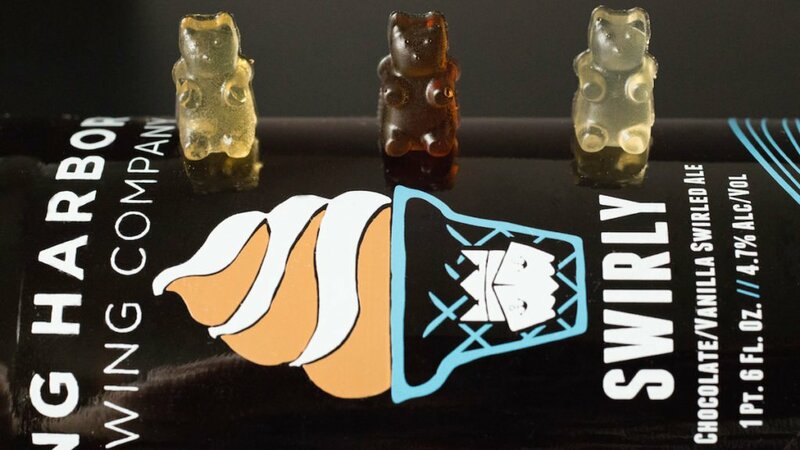 The first beer gummy bear we made was with my favorite brew of theirs, Swirly. It has hints of chocolate, vanilla, and overall has a nice coffee flavor to it. Next, we used their Coconut IPA to make these lighter color beer bears. I think these were my favorite beer gummy bears. 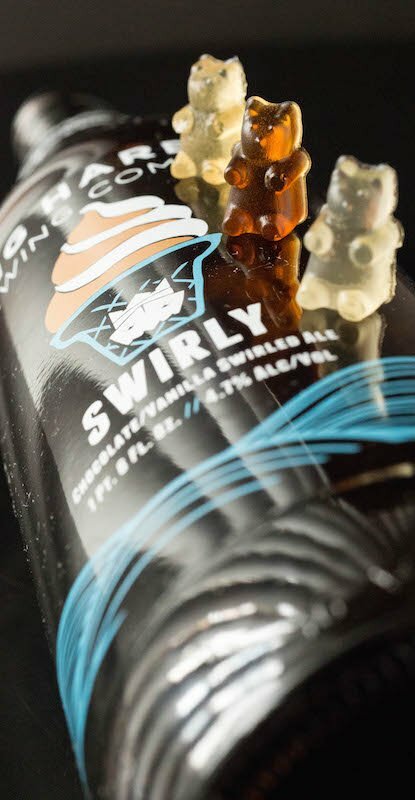 It had more of a classic beer flavor than the Swirly. I could see myself finishing off a bag or two on a hot summer’s day…. We also used King Harbor’s Orange Tuxedo beer. It was bursting with flavor and had a hint of orange that was really nice. You will need three gummy bear molds for each batch of this recipe. You can buy a 3 pack of gummy bear molds on Amazon for less than $10. Overall, we had a really fun time making these beer bears. 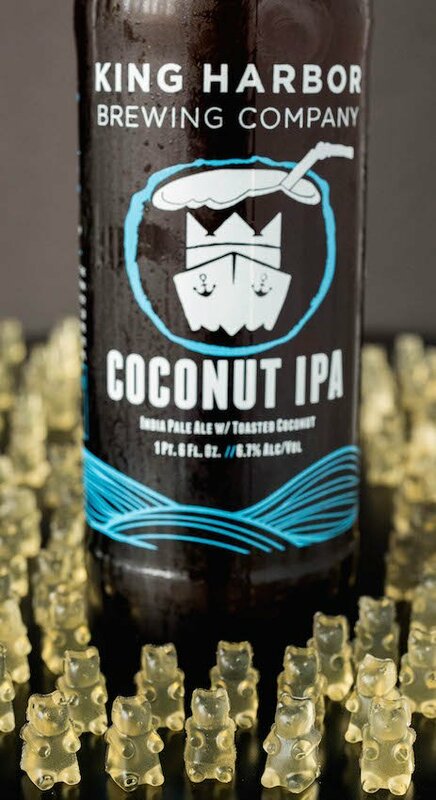 I’m definitely going to experiment with some other brews in the future. I think I’m going to try to make the gummy bears with a sour ale next! What’s your favorite beer? Let us know in the comments and maybe we’ll turn it into gummy bears next! Add the sugar and gelatin, begin stirring immediately. Stir continuously until sugar and gelatin are completely dissolved. (If you want to keep the maximum amount of alcohol in, make sure the liquid stays well under 170°). 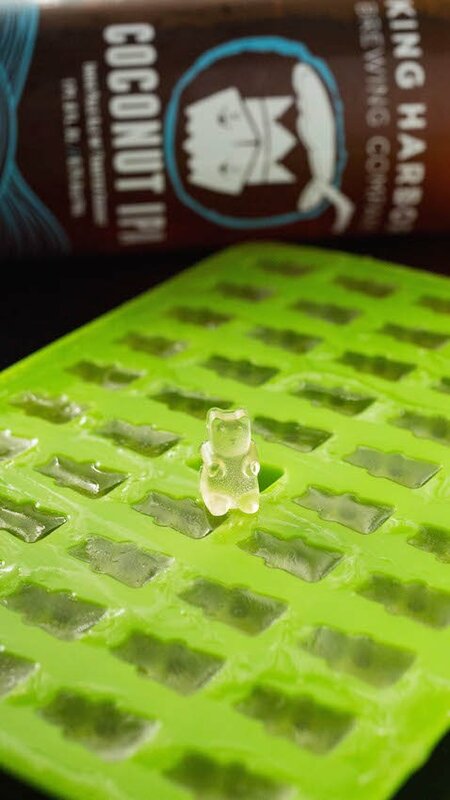 Pour the beer gelatin mixture over your gummy bear molds (you will need 3). Use a spatula to fill all the bear cavities and scrape off the excess. Next try a champagne gummy bear..Your champagne must just be hot enough to melt the sugar and gelatine..try with lemonade first, then carry on with the champagne. Does the sugar help the science behind the gummies or is it just for flavor ? I *think* you could get it to set without the sugar, but I have not tried so I can not say for sure. If anything, maybe bump up the gelatin a little bit if you try it out. I am part of a ladies beer drinking group in S California. We just did a collaboration with Refuge Brewery in Temecula and our release date is this Saturday. I plan on making at least 3 types of these bears to take with me. How fun!! I’ll follow up with the styles of bear I used and how they turned out. Thanks Janica! Whaaat?!? I want to be apart of a ladies beer drinking group! That sounds awesome. I hope the bears are a big hit.